Edgar, Shamus, Macavity and Lefty nominee Timothy Hallinan has written twenty-one published novels, all thrillers and mysteries, all critically praised. He currently writes two series, one set in Los Angeles and the other in Bangkok, and in 2017 he also revived his earlier series, written in the 1990s about the overeducated slacker private eye Simeon Grist. The new book, the first since 1995, is "Pulped." 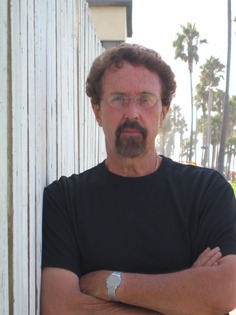 His 2014 Junior Bender novel, "Herbie's Game," won the Lefty Award for Best Comic Crime Novel of the year. His 2010 Poke Rafferty Bangkok novel, "The Queen of Patpong," was nominated for the Edgar as Best Mystery of the Year. The Junior Bender mysteries chronicle the adventures of a burglar who moonlights as a private eye for crooks. Six titles have been published to date, and "Herbie's Game" (2015) won the Lefty Award for Best Comic Crime Novel. The other titles in the series are "Crashed," "Little Elvises," "The Fame Thief," "King Maybe," and "Fields Where They Lay," which was on many "Best Books of 2016" lists. Coming in 2018 is "Nighttown." In 2007, the first of his Edgar-nominated Poke Rafferty Bangkok thrillers, "A Nail Through the Heart", was published. "Hallinan scores big-time," said Kirkus Reviews, which went on to call the book "dark, often funny, and ultimately enthralling." "Nail" was named one of the top mysteries of the year by The Japan Times. Rafferty's Bangkok adventures have continued with "The Fourth Watcher," "Breathing Water," "The Queen of Patpong," "The Fear Artist," "For the Dead," and "The Hot Countries." Coming in 2017 is "Fools' River." In the 1990s he wrote six mysteries featuring the erudite private eye Simeon Grist, beginning with "The Four Last Things," which made several Ten Best lists, including that of The Drood Review. The other books in the series were well reviewed, and several of them were optioned for motion pictures. The series is now regarded as a cult favorite and is being revived, in one sense of the word, with "Pulped." He has also edited two books. "Shaken: Stories for Japan" contained original stories by top mystery writers and raised more then $100,000 for tsunami relief efforts, with every penny going straight to Japan. "Making Story: 21 Writers and How They Plot" contained practical ideas on plotting by well-known mystery and thriller writers. Hallinan divides his time between Los Angeles and Southeast Asia, the setting for his Poke Rafferty novels.